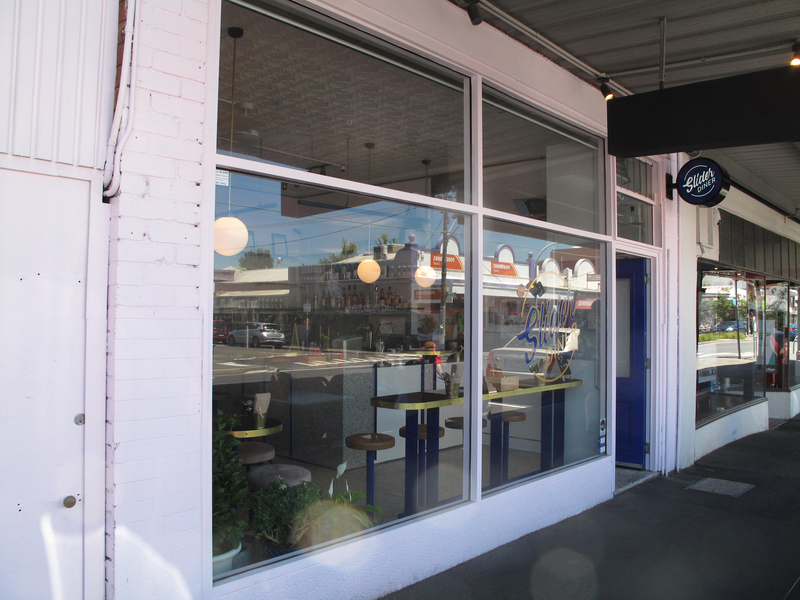 Slider Diner, 82 Charles Street, Seddon. In handful of months, Consider The Sauce will turn nine. Much has changed in that time for western suburbs food talk. A few westie-oriented blogs have come and gone, while the coverage in the MSM and other media outlets based on the other side of the Maribyrnong remains haphazard and selective. Yet it seems to me the tempo of ongoing discussions about western suburbs food has actually increased. I attribute that to the enthusiastic embrace of a plethora of community Facebook pages right across the west. It’s a regular thing to see posts and photos of new places opening (and closing) and long threads of comments responding to recommendations for pizzas or coffee or vegan tucker – and much more. For that reason, I long ago realised that aspiring to cover everything that is happening – and being eaten – across the west is the stuff of nervous breakdown. So we go our merry way – and enjoy immensely, and participate in, the broader conversations. For instance, very few of the bars that have bloomed in the inner west in the past few years have received coverage here. And it’s for that reason that Slider Diner was not really on our radar. Just another burger joint, hey? But visit it we do when our Seddon eating destination of choice turns out to be closed. That’s a fine outcome, for we enjoy Slider Diner. 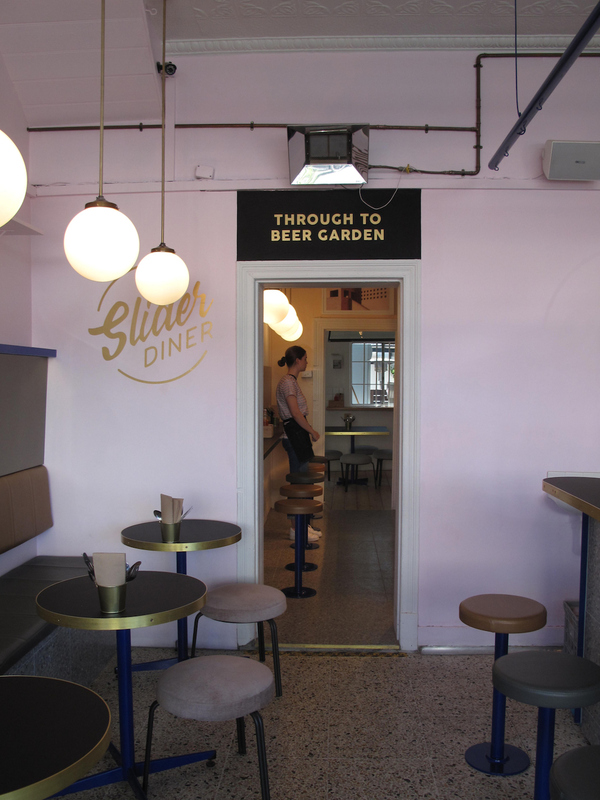 Located in the premises formerly occupied by Ajitoya, the place is done out in nice and bright retro diner style. 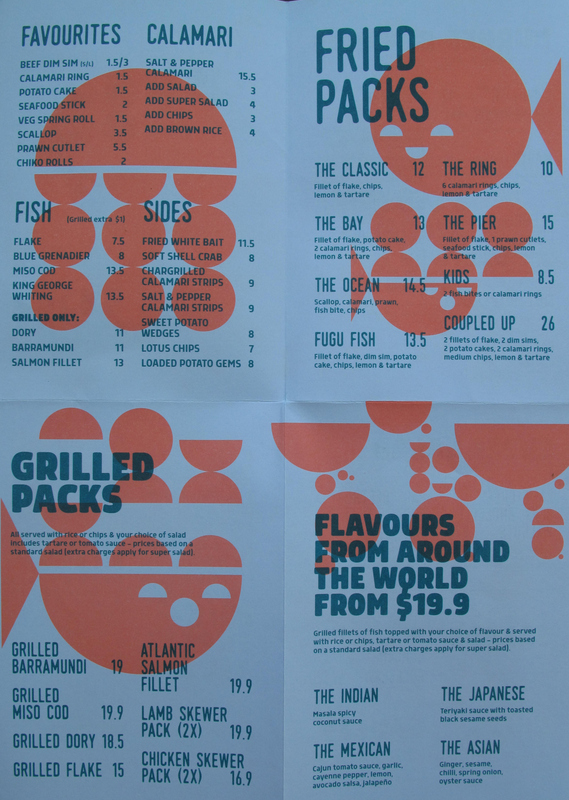 Well, that seems to be all about the availability of half-size burgers in a menu (see below) dedicated to classy fast food – with a few twists along the way. Usually, half portions cost significantly more than half the full price. So Slider Diner deserves much kudos for the fact its “sliders” cost precisely half of their full-portion equivalents – and they’re generous to boot! This means an individual customer can enjoy some diversity without paying a price in terms of quantity or money. Bennie is well pleased with slider cheeseburger ($7) and kim cheezy ($7) with crunchy fried chicken, kim chi slaw, smoked cheddar and gochujang sauce (Korean red chilli sauce). 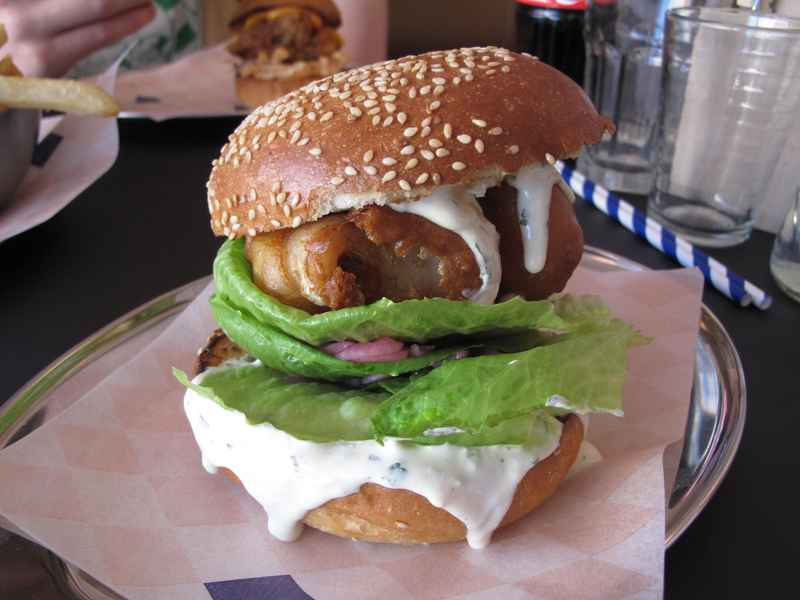 My fish burger ($15, top photo, not available in half size) is damn fine. The deep-fried rockling fillet, juicy and flavoursome and meltingly tender, is accompanied by lemon dill mayo, lettuce and just the right quantity of finely sliced pickled onion. 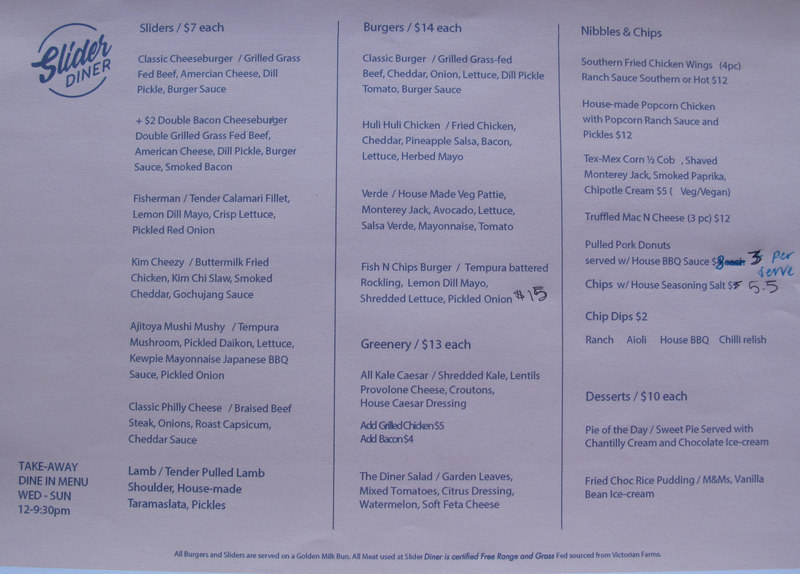 We are utterly incapable of ordering the likes of burgers or gyros without also summoning chips. But all we want is a taste, really. 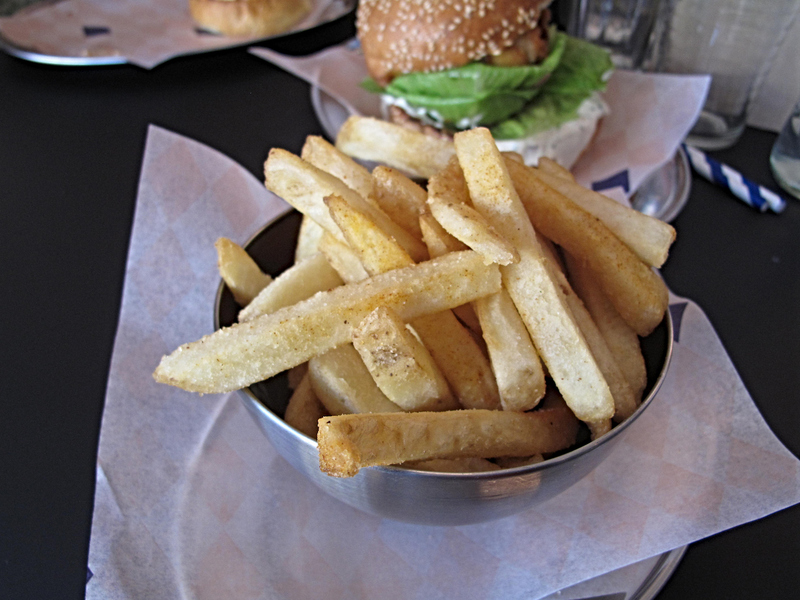 So we wish more places would offer said chips in appropriately sized – and priced – portions. 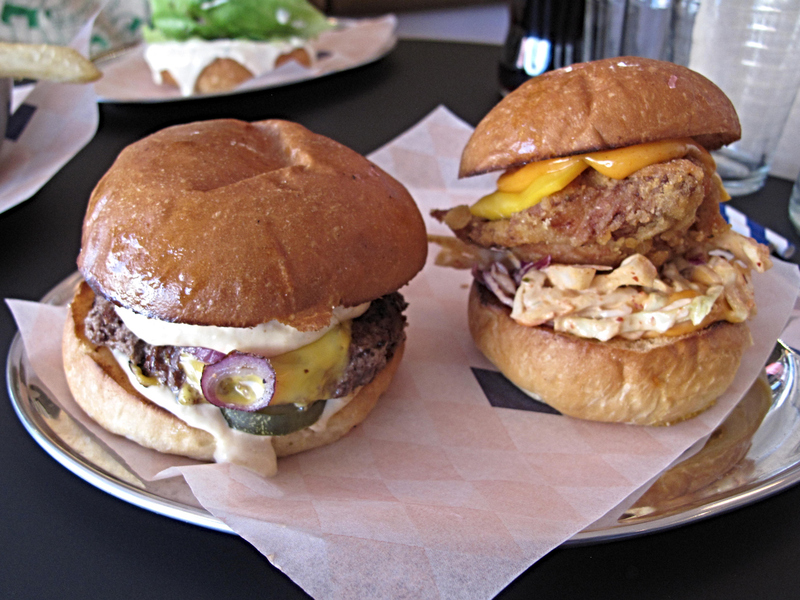 Slider Diner does just that for $5.50 – though these are just OK.
Will we return to Slider Diner? Yes – quite possibly to build a meal out of sides such as chicken wings, popcorn chicken, Tex-Mex corn cob, truffled mac n cheese and pulled pork doughnuts. 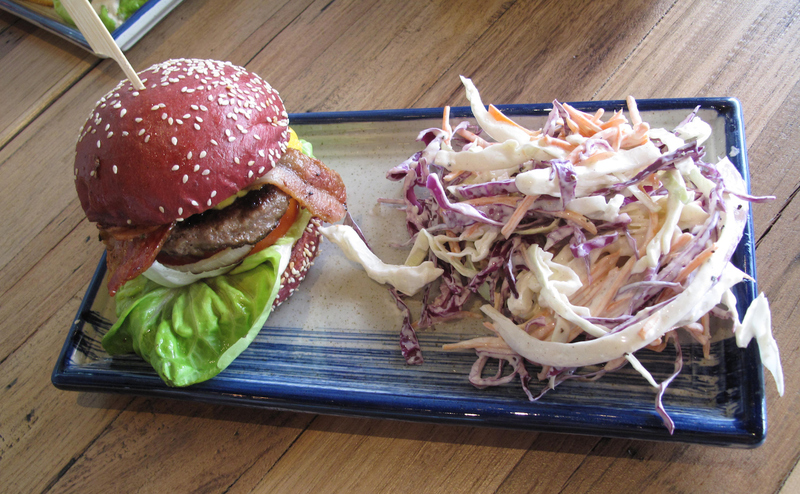 Such is Bennie’s gloomy visual assessment of my wagyu burger at Fugu Fish Bar. 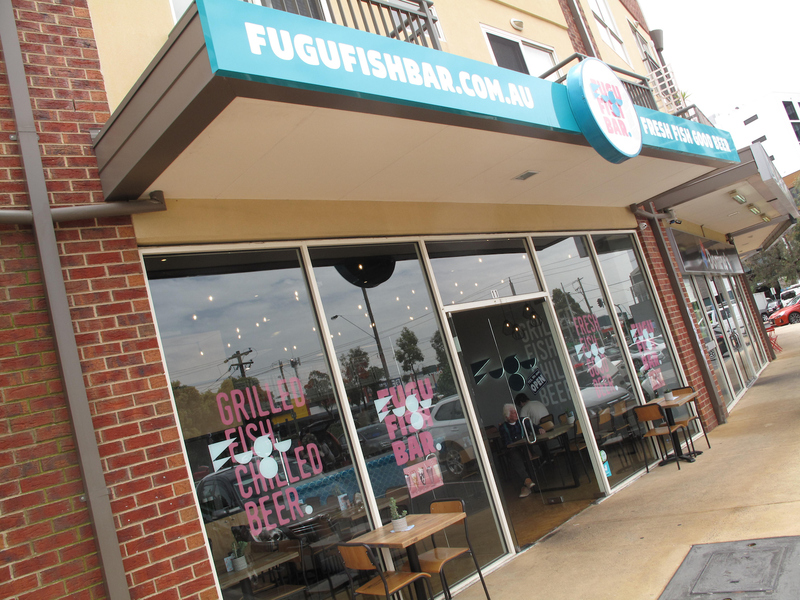 A fresh-faced fish and burger joint, Fugu is located at the nexus of Hampstead and Wests roads, a few blocks from Highpoint and in a long-standing small shopping precinct that houses another dedicated burger joint. This is an area undergoing rapid change as more and more people move in. We both “combo” our meals for $3 extra, so my burger deal clocks in at $17 with the addition of coleslaw. My burger is better than indicated by Bennie’s scorn – but it’s acceptable without being memorable. 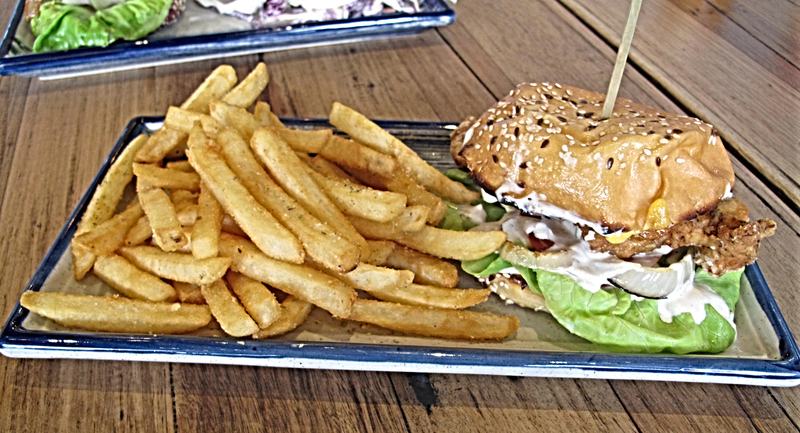 Bennie is happy with his southern chicken burger ($15 with chips), even though it appears a little crumpled. The chips are OK. Just. 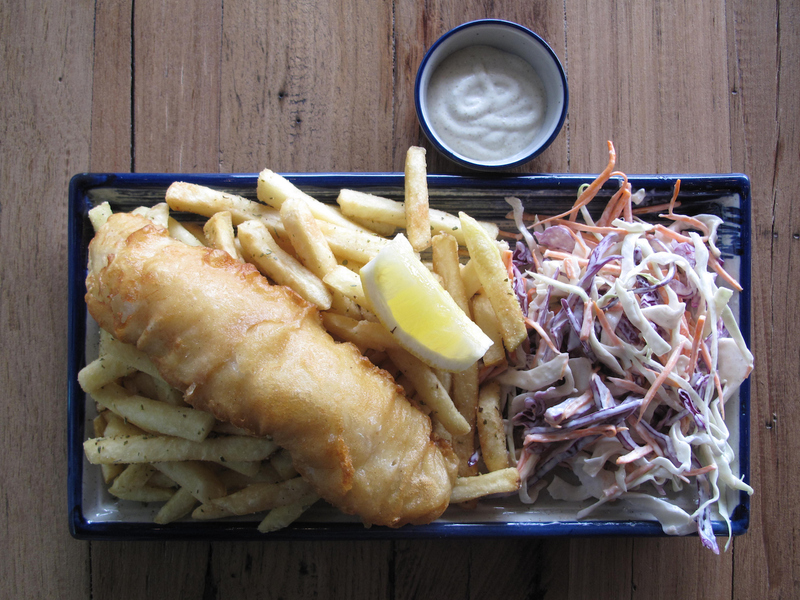 On an earlier, reconnaissance visit, I enjoyed my blue grenadier with chips and coleslaw, the latter again superb. In this case, I was not offered a combo set-up so my lunch costs more through the addition of $6 worth of salad on top of the $12 for the classic fish/chip deal. The fish was bigger than it looked at first glance and good eating, though the batter was a bit doughy. Fugu has been recommended to us by friends/readers, so we are disappointed to be a little underwhelmed overall. 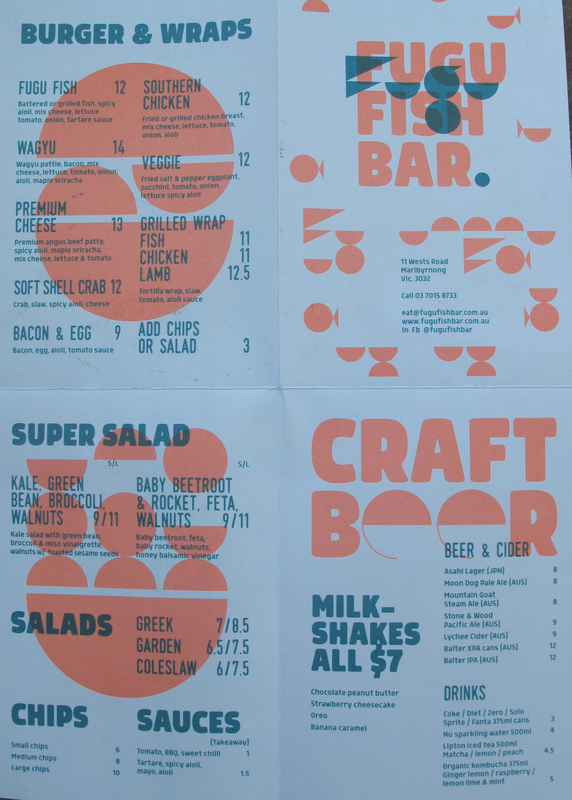 If we lived in the area, we’d be regulars, for sure – in the process, getting to know the menu and what really sings.